Located centrally in beautiful Tulsa, Oklahoma. Colonial Manor Nursing Home provides a long-standing history of excellence in skilled nursing, rehabilitation, and long-term care. Give your loved one the opportunity to live comfortably and enjoy their own daily routine, with the confidence of safety and support they need. 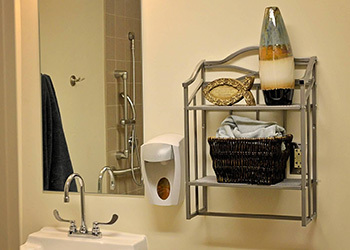 We welcome you to a community where each resident is celebrated, cherished and connected. Here at Colonial Manor Nursing Home, our Mission is to dedicate ourselves to provide personalized care and services that achieve extraordinary results and exceed the expectations of those we serve. During this time of transition, we make every effort to ease your loved one into a comfortable and enjoyable lifestyle, offering individually tailored personal care options to perfectly suit their needs and preferences. Their plans, interests, and goals are our priority, and we’re ready to do everything we can to help them live life to the fullest. Colonial Manor has a newly renovated skilled nursing, rehabilitation, and wellness center. Our focus is to achieve your optimal level of function. Our therapist team provides comprehensive rehabilitation in physical, occupational and speech therapy. Colonial Manor offers a variety of conveniences and amenities designed to enhance comfort and improve recovery. From special therapeutic diets to comprehensive rehabilitation, optimum care, comfort, and convenience are our priority and ultimate goal. We help residents recover with dignity while receiving compassionate care, personal attention and professional services. If you would like to learn more about Colonial Manor Nursing Home, contact us today! To schedule a tour, click here.